ME AND THAT MAN is a meeting at the crossroads; Nergal, the charismatic visionary, free thinker and frontman of Behemoth, one of the most infamous and increasingly successful bands in extreme music and British/Polish rock musician, John Porter come together in this collaboration that needs to be heard to truly understand it’s refreshing diversity. Behemoth’s frontman, Nergal is ready to burn the preconceptions people may have about his creative vision. ‘Songs Of Love & Death’ isn’t sonic esoterica, it is an album of simple, yet timeless ideas, all filtered through Nergal’s pitch-black poetic prism. 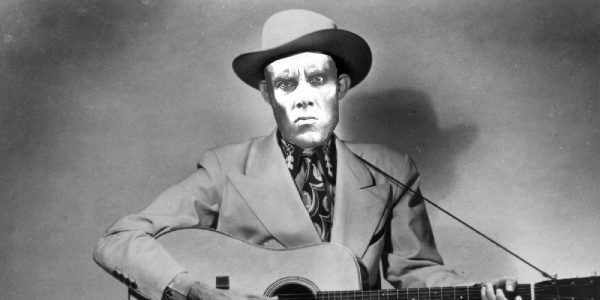 Admirers of everything from Johnny Cash’s American Recordings through to the grim, frontier polemic of Wovenhand will be drawn in by these songs. 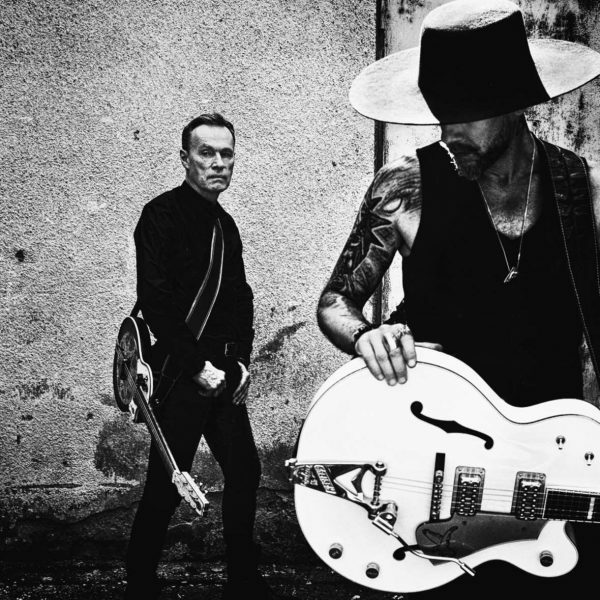 The collection may appear vastly different to what Nergal is best known for, but as far as he is concerned, ME AND THAT MAN is a necessary and vital a part of his creative life: a new way to express the same ideas of individualism, defiance and darkness. ME AND THAT MAN will also play their first UK show at London’s Jazz Cafe on Sunday 26th March. Tickets go on general sale at 10am Monday 16th January on this link. 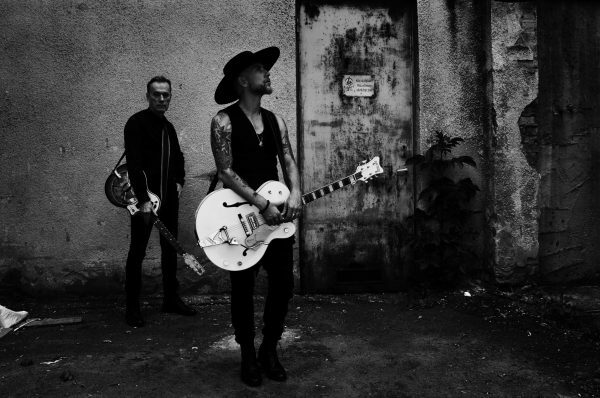 Their debut album, ‘Songs of Love & Death’ is a journey across bleak, dust-ravaged plains, soundtracked by low-slung guitars and steeped in the rawest essence of rock and blues. The tracks draw on dark narratives familiar to fans of Nick Cave, Tom Waits and Leonard Cohen and crackle with an evocative, sinister aesthetic. ‘Songs of Love And Death’ features sleeve artwork by Daniel P. Carter and is available for pre-order now on this link. Pre-orders via iTunes secure you a download of ‘My Church Is Black‘ right away. A range of vinyl and special bundles can be picked up on this link.